NOTE: This article currently features an inaccurate assessment of the narrative structure beneath Guardians of the Galaxy. For more information and a clue as to an accurate analysis, please visit our post Another Look at Guardians of the Galaxy. 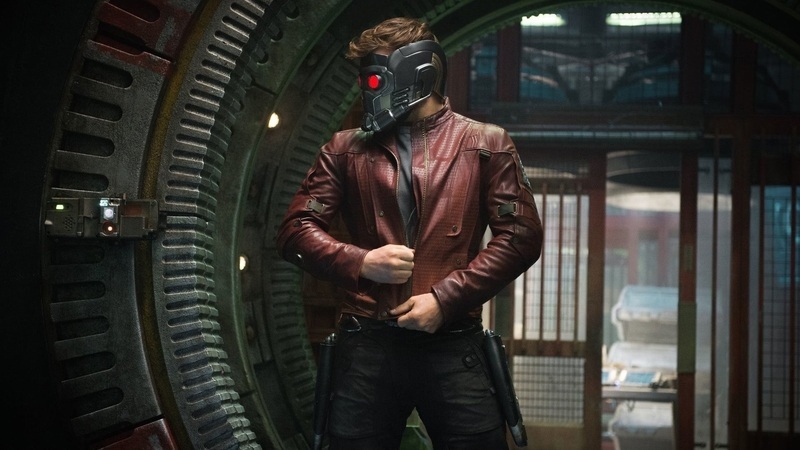 Continuing the trend of madly successful films with deficient stories, Disney’s Guardians of the Galaxy delights audiences everywhere with its highly entertainingtale of a boy who became a Star-Lord. The Throughlines assume their favored position: an Earthling abducted from his parents (Chris Pratt) grants us the Main Character Throughline of a Problematic Situation, while the efforts to secure the Infinity Stone by all offer us the usual Problematic Activities for the Overall Story Throughline. Gamora (Zoe Saldana) slides into the Influence Character role with her cool and collected Problematic Fixed Attitude which leaves the Relationship Throughline in a conflict over Ways of Thinking. The Main Character and Overall Story Throughlines play out as expected with Pratt’s Quill overcoming his Problem of Avoidance; literally reaching out to Pursue both the Overall and Main Character Solutions. Unfortunately, Gamora’s Throughline peters out and dies leaving little explanation why Quill actually changed his point-of-view. To further weaken the film’s structure, the Relationship Throughline between Quill and Gamora occupies but one scene over the span of 122 minutes—hardly the stuff of a well-developed thoroughly realized narrative. Quill may attempt to teach Gamora how to lighten up and sway those hips, but he never pursues that approach in subsequent scenes and as a result their relationship falters. Even if they had built upon this scene, it’s the wrong approach to take: Gamora is not the one who needs to change her way of thinking, Quill is. Forcing this dual change where they both “learn” something only confuses the point of the story further. No doubt about it: Guardian’s smash success casts doubt on those who yearn for something more than simply attractive video game cut scenes. The film is a must see for anyone who loves great movies. But what does it mean when a deficient narrative captures the imagination of so many? Does story not matter? Is it OK to only sort of tell a complete story? The clearly developed and emotionally engaging Main Character Throughline helps alleviate the emptiness associated with fare like this in much the same way that the music did in Frozen. Unfortunately, it still falls short of claiming the status of a great story with its lack of a fully developed Relationship Throughline. In that respect, Guardians of the Galaxy exists as a wonderful bit of entertainment—an amusement park ride that thrills and chills, but only while taking the ride. Great stories sit with one long after the lap bars have risen and long after we left the park. For a film to last it must fully explore all four Throughlines of a complete story: Main Character, Influence Character, Overall Story, and Relationship Story.